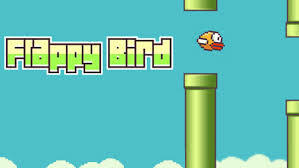 Developer Removes Flappy Bird App from App Stores! | The Official Blog of The Detroit Gamer. Home › Gaming › Developer Removes Flappy Bird App from App Stores! Developer Removes Flappy Bird App from App Stores! Flappy Bird is officially gone! 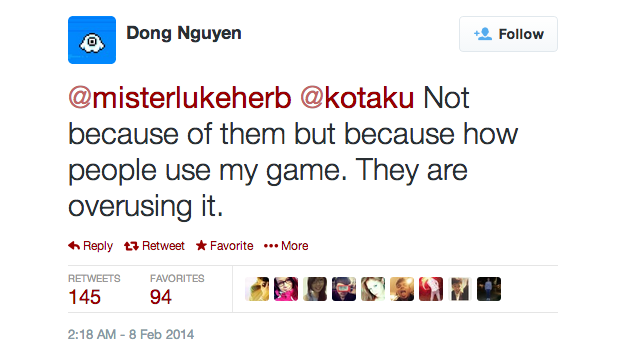 The game’s creator, Dong Nguyen, annouced that the app is gone from both Google Play and the iTunes App Store. Unless you already downloaded it, you won’t find one of the world’s most popular video games anywhere. I am not sure how someone could turn down $50k a day from the ad revenue he was receiving from the game. I personally have not played the game and will not miss it. “I personally have not played the game and will not miss it.” Couldn’t agree more!